The operating system requires care: continuous cleaning from "junk", viruses, and unnecessary registry entries. But when all possible solutions of a problem have been exhausted and the necessity of using computer is still available, people often turn to service centers for help. How much is the cost of the service for the reinstallation of Windows in one of these centers? 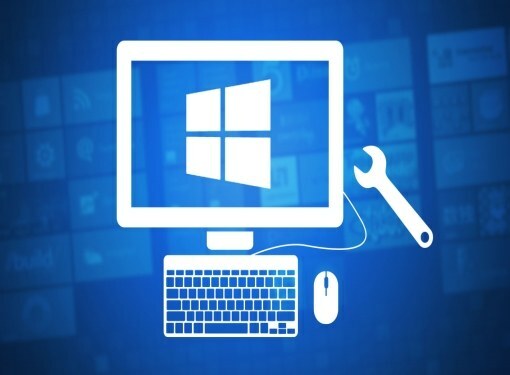 Windows, when viewed in comparison with other OS, very easy to install and reinstall: a process can handle even the novice, not having skills of work on the computer. The only "special" knowledge is the fact that to start installing Windows in BIOS mode (when the computer is booted) should have time to click the corresponding key (all of the computers it is different, but often either F8 or F10 or F12), after which pressing the disc drive or usb drive will read a disc or flash drive and run Windows setup. Taking into account the simplicity of the installation process, the question arises as to whether to contact the service center and give the money to 5-minute operation done "specialists"? Today personal computers are virtually in every home, and services associated with repairing of the machines themselves, or OS, respectively, are very common, as are very popular due to the fact that many users-novices did not possess the skills to work with the OS, and even more skills to install/reinstall. Prices for the reinstallation and configuration of systems varies from region to region, in Moscow this service is approximately from 500 to 700 rubles, given the fact that the owner has the installation disc or a "memory stick" with the operating system, and in Omsk the staff at the house in city limits with reinstalling the system will cost from 300 rubles. If the owner of the computer does not have the installation disk (the license), then the company providing the service reinstall offer to buy the license installation disk with the OS. Thus the price of the whole service will be included installation costs (300-700 rubles in Russia) and the cost of the license. Officially on the market today are available two versions of Windows: 7, 8 and 8.1. Support for Windows XP stopped a long time ago. Prices for Windows 7 range from 3100 R. (Home Basic 32/64bit) up to 7600 R. (Professional 32/64bit - retail version). It is worth noting that today, Microsoft actively supports students: the official website of the upgrade to Windows 8 or 8.1 for students of Russian universities will cost 2190 rubles. Today, very popular companies that provide services for the reinstallation and configuration of Windows at home. Often such services to be not very expensive, and the masters have time to do all the work for hours after application. A special case can be called a reinstallation under warranty in the service center of the store that sold the person a computer with a preinstalled OS on it. Some companies offer free reinstallation, and some will take a minor fee (from 300 to 1000). It should be noted that normally this kind of support is only the first 1-2 years after purchase of the computer and has a limitation: some stores are free to reinstall the system, only a certain number of times. Of course, given the ease of the installation process and prevalence of the "field" artists who can perform their work right at home from the owner of the computer, the need to visit service center is sharply reduced.